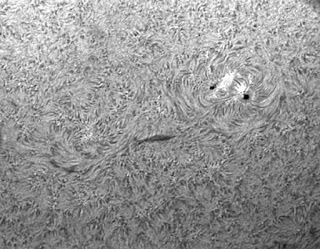 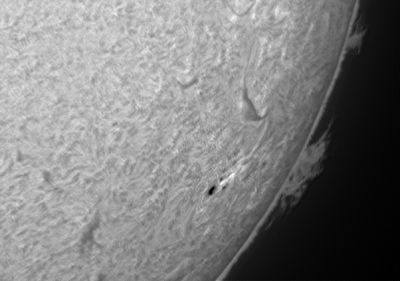 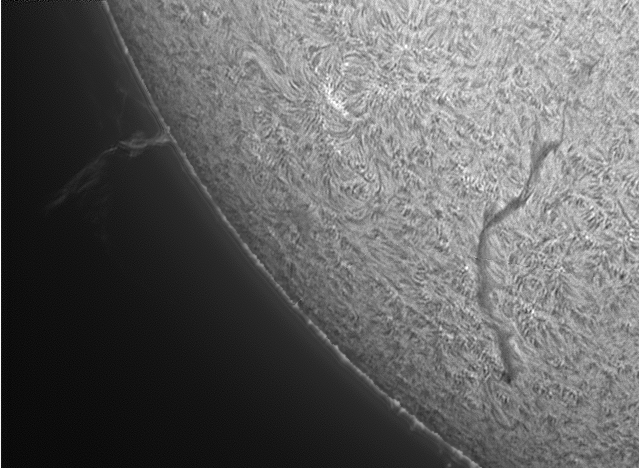 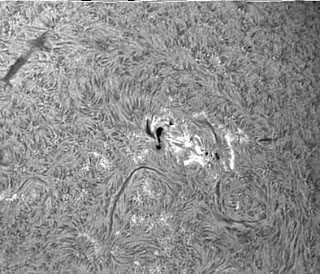 A Lumenera LU075 monochrome CCD camera, fitted with stacked Barlow elements giving a magnification factor of 2.9 was used with a Lunt 60mm H-alpha solar scope to capture 40s AVIs at 60fps of a prominence region on the limb of the Sun. AVIs were captured at 2 minute intervals over a 28min period. 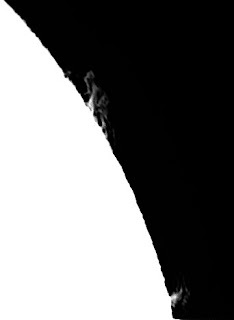 The AVIs were stacked in Autostakkert!2 and wavelet processed in Registax 5. 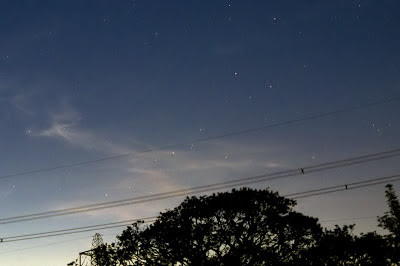 The images were roughly cropped in Paint Shop Pro and then automatically registered and evenly cropped in Andrew Sprott's Blink Comparator software. 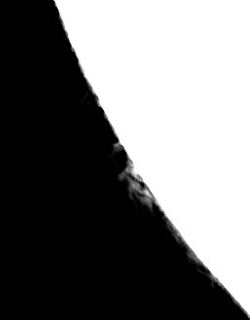 An animation was created in Animation shop to show the streaming activity in the prominence. 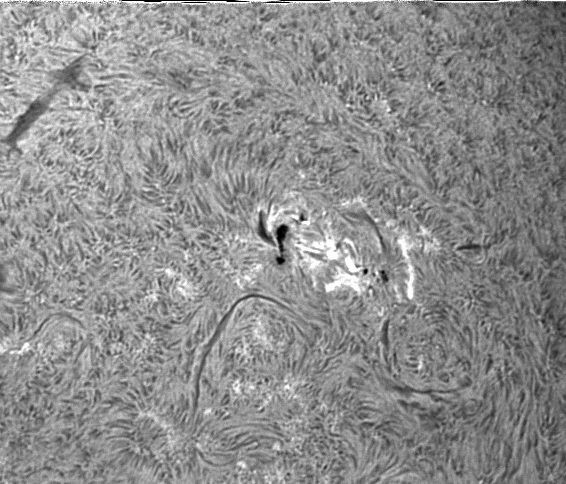 The image can be seen to be rotating during the imaging. 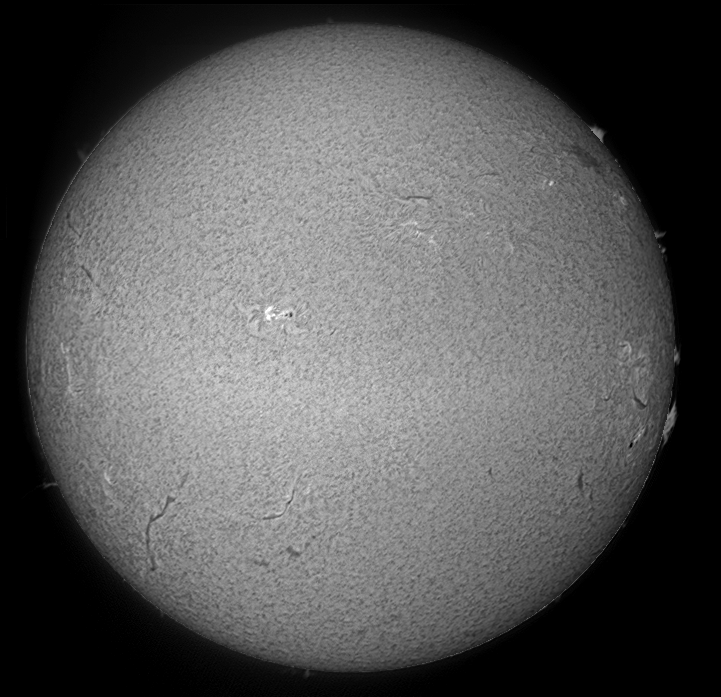 This is due to the scope being mounted on a driven, altazimuth mount. 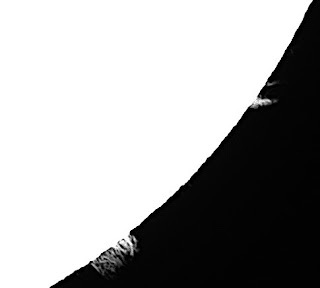 An image of the Earth has been superimposed at the same scale. The prominence was, at this time, 92,375 miles long and was, at its highest, 68,959 miles above the limb of the Sun. 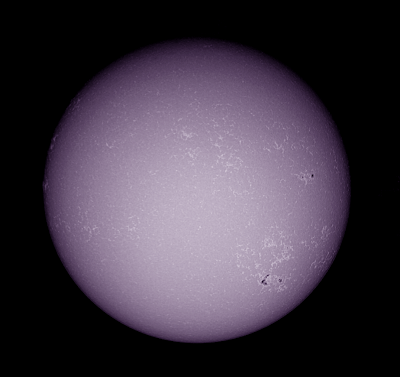 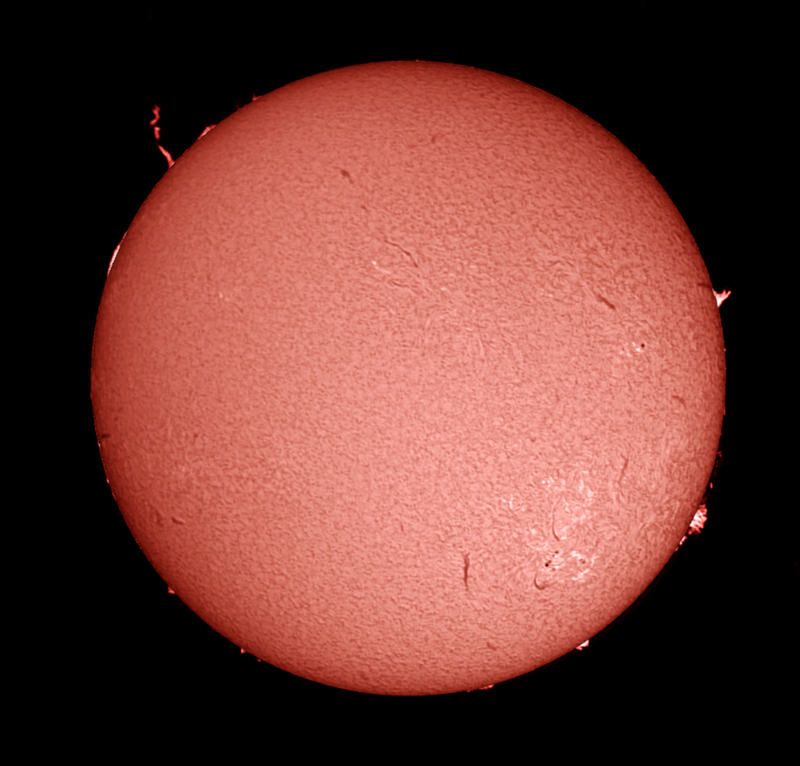 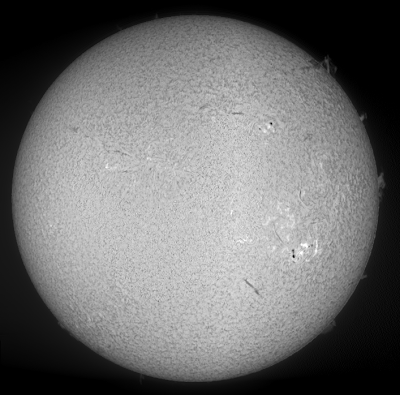 A whole disk image was made by placing an Opticstar PL-130-M, 1.3Mp monochrome, CMOS camera, fitted with stacked neutral density filters, at the prime focus of the Solarmax H-alpha scope. 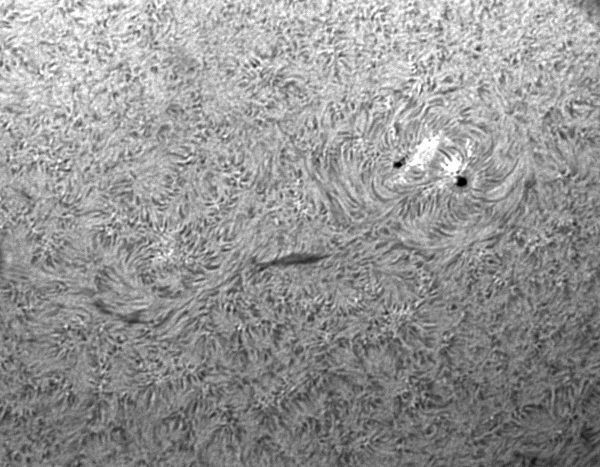 An Opticstar PL-130M Monochrome, 1.3MP camera was placed at the prime foci of a Solarmax ll 60 BF15 H-alpha scope and a CaK PST, Ca K-line scope and AVIs of the whole disk were captured. 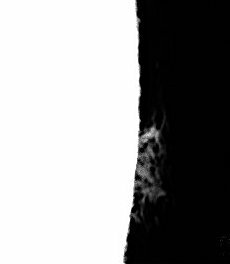 In H-alpha the AVIs were exposed for the Disk and the prominences separately. 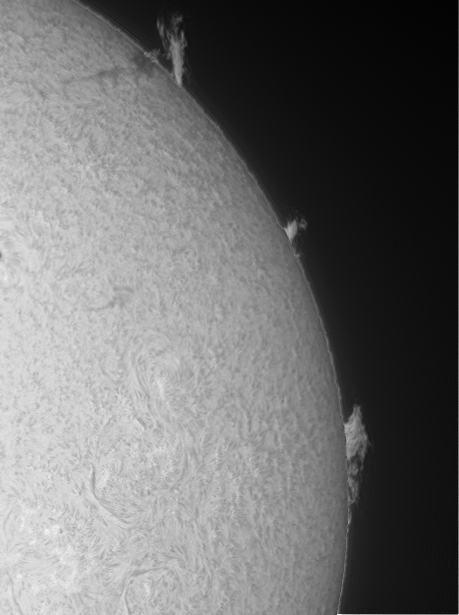 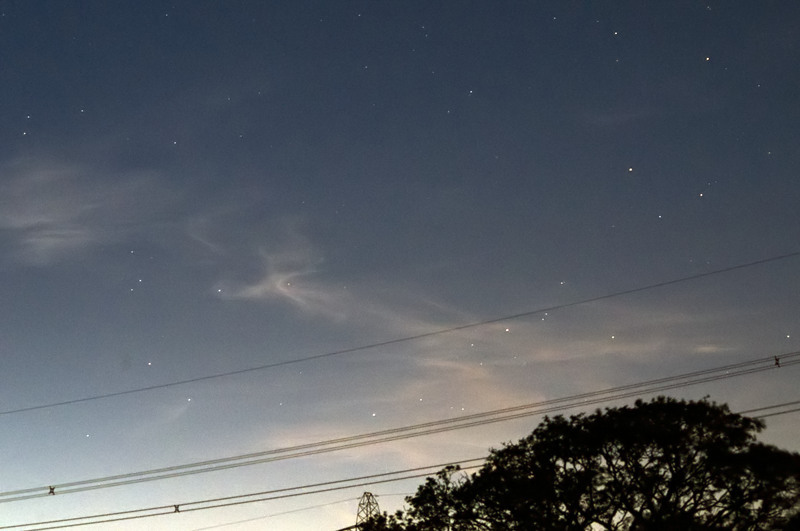 All images were taken using a Lunt 60mm H-alpha scope and Lumenera camera at 60 fps.